5Vdc, 0.3 Amp stabilised power supply module complete with a 230Vac mains chassis transformer. 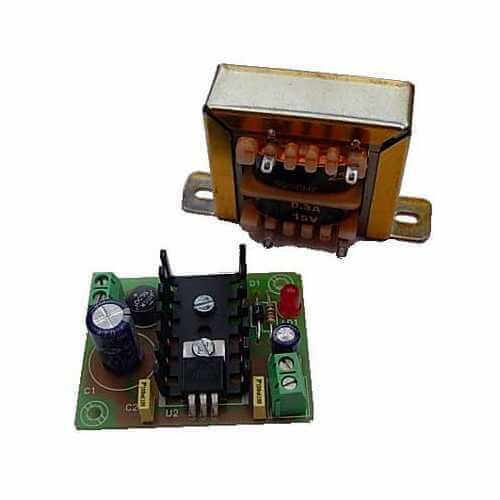 The module uses an L7805 voltage regulator and provides a stabilised output with short circuit protection, LED 'On' indicator and screw terminal blocks for connections. Continuous output current 300mA max. Peak Output current 0.5 Amp max. Ripple (with load) 5 mV max.